What do women want in a husband? A job! What do women want more than anything in a lifelong mate? For him to have a steady job. Men have different priorities. Their main concern is having similar ideas about having and rising children. Three in 10 never-married Americans who want to settle down say the main reason they haven't is that they can't find someone who has what they are looking for in a spouse. Participation in the labor force among men -- particularly young men -- has fallen significantly in recent decades. 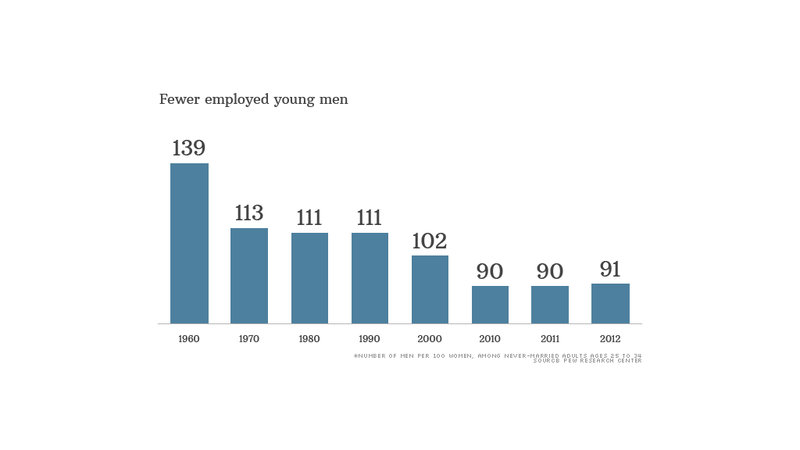 Only 82% of men ages 25 to 34 were in the workforce in 2012, down from 93% in 1960. At the same time, the share of American adults who've never been married is at an all-time high, according to a Pew analysis of Census data. The "marriage gender gap" has widened over the past half century with men more likely to never get hitched. 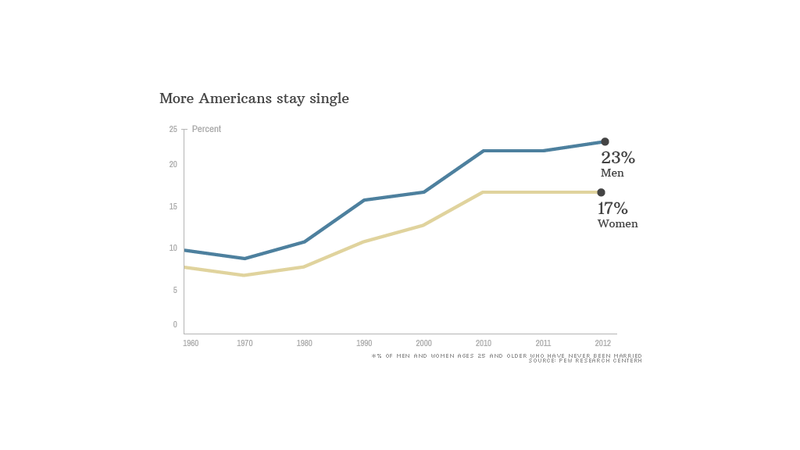 Many of today's single Americans may never marry. 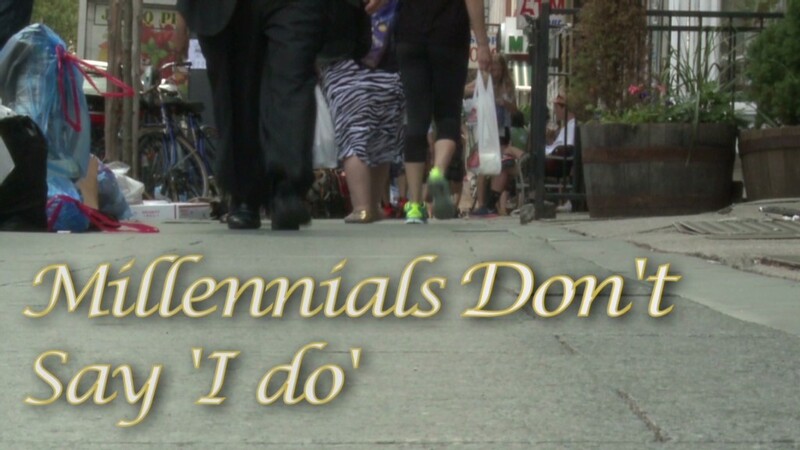 If trends continue, a record 25% of today's young adults will remain single by the time time reach their mid-40s to mid-50s, according to Pew. That's a fivefold increase since the 1960s.